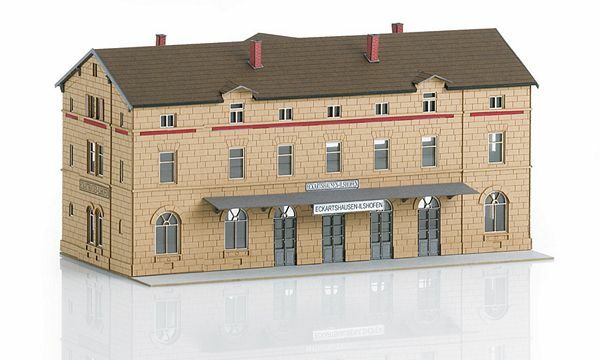 Prototype: "Eckartshausen-Ilshofen" Station. 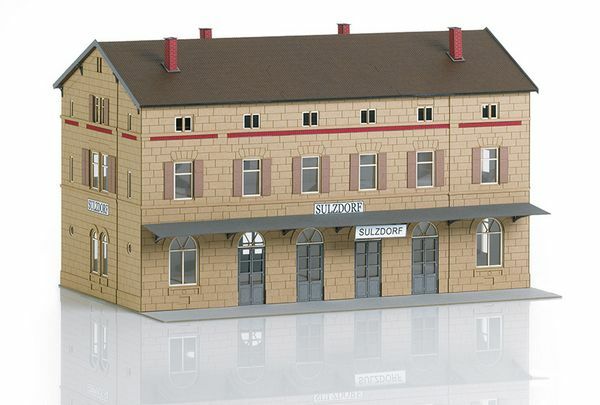 The more than 150-year-old former Wurttemberg standard design station constructed of sandstone is on the rail line from Crailsheim to Heilbronn. This station has been most recently used for RB (Regional Passenger) and RE (Regional Express) trains and was put into operation in 1867. It is currently under historic preservation. 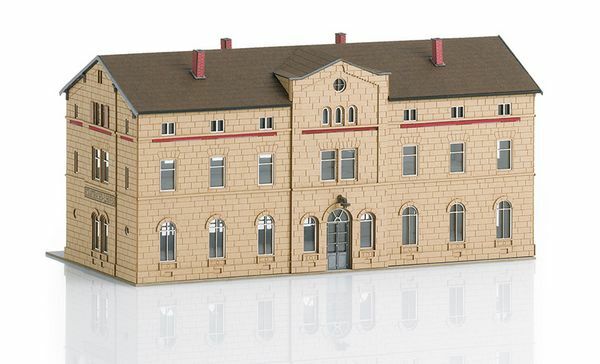 Model: This kit is a very intricate, extremely detailed laser-cut model that fits together precisely and that has numerous details. 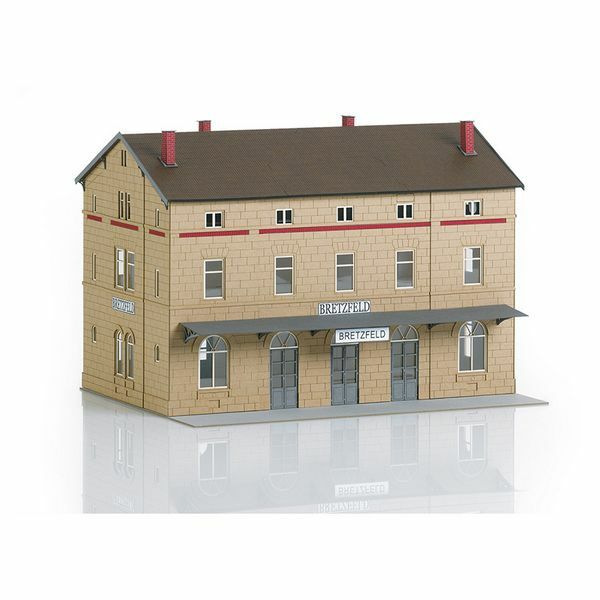 The model's frame, inner area, and superstructure consist of graphics cardstock. Window material is included with the model. 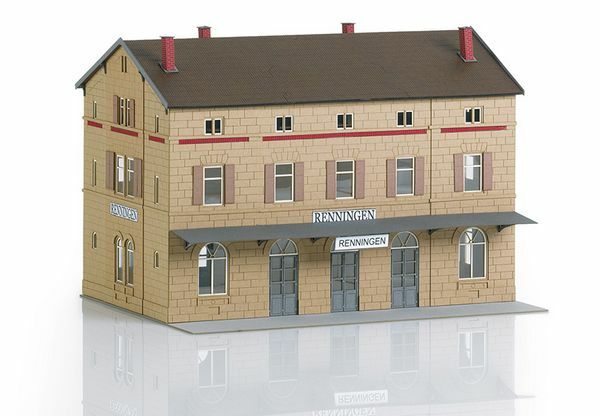 The kit comes ready for the construction of 2 different stations (Eckartshausen-Ilshofen and Sulzdorf). Extensive instructions for building the kit are included. Dimensions of the model: L x W x H approximately 110 x 44 x 55 mm / 4-5/16" x 1-3/4" x 2-1/8" (dimensions for Eckartshausen-Ilshofen).